Maine Seacoast at Bar Harbor. Great photo and excellent choice for monochrome. I love how rocky the shoreline is. Didn't have to read the caption on this one. Love it in b/w. I like the wildness here, and the B&W makes it even more beautiful! Very pretty and a little mysterious too! Love all the layers here. 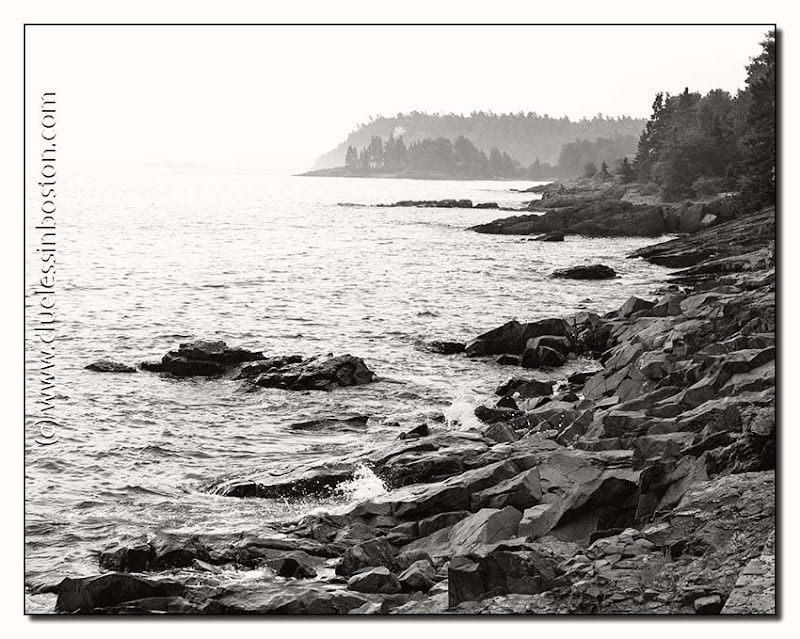 It's been almost 15 years since I last visited Bar Harbor - I must get back someday. Nice depth! Come take a look at my sea photos!